Background: This Special Issue aims to explore how, why, and to what end scientists in developing countries, and particularly those in sub-Sahara Africa, share and re-use data, and whether these activities differ from the priorities, practices, and policies associated with research in other conditions. We seek to attract papers that capture the challenges of conducting research in low-resourced environments and the innovative ways in which scientists overcome these challenges and produce/disseminate/use data (whether in digital or other formats). We would be happy to discuss possible contributions with prospective authors over email. Venue: The Data Science Journal is produced by CODATA (the Committee on Data for Science and Technology), an interdisciplinary Scientific Committee of the International Council for Science overseeing data handling and data-intensive research across disciplines and countries around the world. 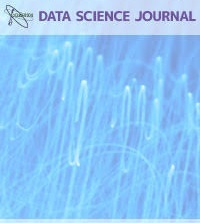 The Data Science Journal has a range of submission types, including standard articles (up to 8,000 words). See http://datascience.codata.org/about/submissions/ for more details. Data Science Journal speaks to a range of audiences, including researchers across the physical, life and social sciences, and provides inexpensive Open Access publication options.